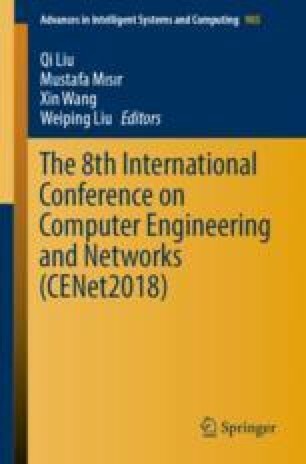 For the question of the limits for practical application in the actual problems about complicated calculation and time-consuming of cyclostationary feature detection in the spectrum detection process, this paper proposes a new improvement algorithm based on the spectrum correlation characteristics and test statistics of the cyclostationary detection, and deduced its detection probability and false alarm probability. The improved algorithm starts from the spectral correlation characteristics and proves that the cyclic spectrum is conjugate symmetry about the relevant axis, which reduces the computational complexity. Starting from the test statistics, after discarding the more complex correlation factors, the computation complexity and detection performance of the improved test statistics are analyzed. It is concluded that the complexity is obviously reduced and the performance loss is minimal after discarding the correlation factors. The simulation results show that the improved algorithm detection performance is slightly reduced, but the computational complexity is greatly reduced, which further satisfies the requirement of fast and accurate spectrum detection and has strong practicality. This study is supported by Scientific research plan projects of Gansu Natural Science Foundation (1508RJZA071); Lanzhou Jiaotong University Youth Fund (2015008).